By LUDWIG VON KOOPA - High Definition or Definitely High? It's a trend in the industry: HD Remastering is everywhere, and it's about time KoopaTV talks about it. What separates a remaster from a remake? A rehash from a port? Sure, I'll break it down for you because you'll need to be armed for when the arguments you have with other people break down to semantics. You should discontinue the argument at that point anyway, but you're probably immature to keep arguing if you're the type of person who reads KoopaTV to begin with. It's probably best to look at this through examples. Yoshi's Island: Super Mario Advance 3 is a remake of Super Mario World 2: Yoshi's Island. There are differences beyond where "Yoshi's Island" is in the title. There are updated graphics and new content, along with a few other revisions. That new content includes an included Mario Bros. rendition and six extra levels. If you really care, here is a change list. Being a remake affects all parts of the game. They're done over again. That doesn't mean they have to be changed, but changes can and are considered. Meanwhile, a remaster doesn't have to be in HD. These are basically ports but... with added visual improvement. You can call them enhanced ports. Our example here is Star Fox 64 3D. It has 3D effects now, and some changed voice-acting. That's all superficial. The core and even augmented gameplay experience is exactly the same. Another example is No More Heroes: Heroes' Paradise. Yes, there are some slight modifications mechanically, but there isn't any new content. Content is the real differentiable thing here between a remake and a remaster. Superficial additions aren't included in what I call content. A port is just an emulation from one console to another. Controls may change because consoles have different controllers. An example here is everything on the Virtual Console. We'll use EarthBound here. The controls on the Wii U are based on the GamePad, and off-screen play is enabled. System infrastructure like saving at any point constitute as controls changing based on the different console. Some other things might change as well, such as screen resolution. 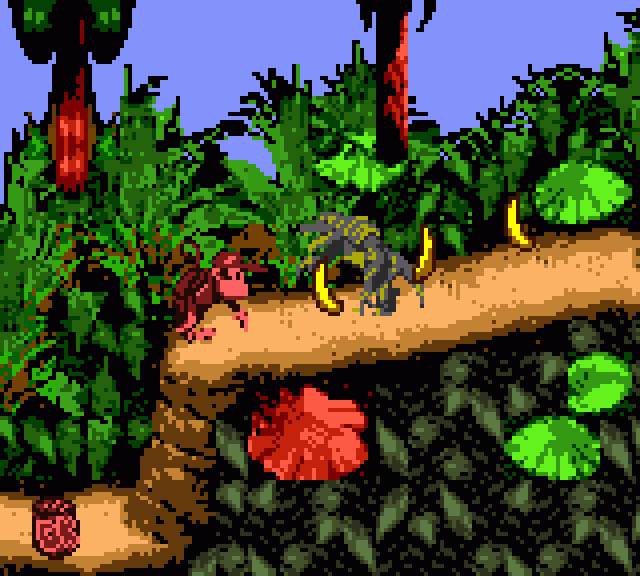 An unfortunate and infamous example here is Donkey Kong Country on the Game Boy Color. SNES games just do not belong on there. Now, this isn't a "demaster": The GBC cannot handle SNES graphics. 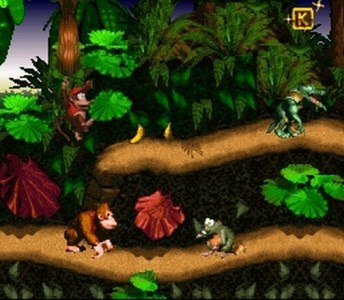 Remasters are made with intention: If Rare could put Donkey Kong Country-quality graphics on the GBC, they could. You can certainly put a lesser quality (graphically) game from an older system onto a new one without changing the graphics. That's a port. Having the intent of improvement (and following through) makes it a remaster. This is the only version of the game I've actually played. This looks a lot better, right? Based on this, it's entirely possible for a port to be the best or worst version of a game. A rehash can be a remaster, a port, or a remake. There is no strict definition here. You know it when you see it. These include things like Tomb Raider: Definitive Edition which KoopaTV trashed when it was talked about in VGX. They can also include sequels, which are not remasters, ports, or remakes. Sequels that are rehashes include New Super Mario Bros. 2 and most annualized series. You know the usual suspects, like Call of Duty and Madden NFL. It got so bad for EA that they notoriously jumped numbers from Madden NFL 13 to Madden NFL 25. You get a sense it's a rehash when you start asking "Why does this even exist?" The business rationale behind remakes, ports, and remasters is to bring older games to a newer generation. It's making profit out of already-developed code — in finance terms, it is increasing the horizon value of the project. That means the cash flows are altered later on in life in an increasing direction. There's nothing wrong with preying on nostalgia. It makes business sense. It's important to note that not only are old nostalgic fans purchasing your remake, but new fans are too. This expands the fanbase of the intellectual property which expands the target market for the next sequel in the property. If there are entire generations in-between the release of the original game and the remake, then that company is allowing for the Goodnight Moon effect to take place. Consumers also understand that remakes can command a higher price point, and vice-versa. You can buy Kirby Super Star on the Virtual Console for $8, or Kirby Super Star Ultra on the DS for $35. The latter is ultimately the better deal, by the way. It's not that Kirby Super Star Ultra is overpriced, it's that Kirby Super Star is underpriced. Here's an example where these collections or remakes or whatever are important: The 3DS Ace Attorney 123 collection. Dual Destinies was a fantastic game, but there are a ton of people on Miiverse who claim that it's their first exposure to the franchise. For a story-based series, that simply should not be a thing. Therefore, it's acceptable for the games to be continually rereleased or else the sales numbers for every new game in the series will be less than the previous one. Capcom doesn't expect that Ace Attorney fans should buy it again, but they know they have a rabid fanbase on their hands who are fine with wasting money on buying games they already have just to inflate sales numbers. That's truly taking advantage of sequelization. It extends the value of a franchise that relies on playing every game in the series to get maximum appreciation. Imagine if they never rereleased an Ace Attorney game, ever! ...Which makes you wonder when Apollo Justice: Ace Attorney gets remade, ported, or remastered. 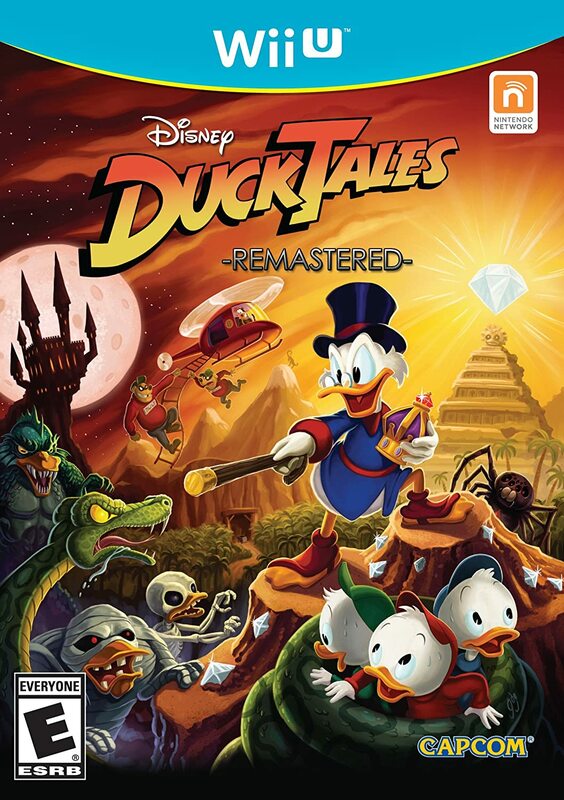 Why leave DuckTales to die when it can see new life and new sales from new folks? In conclusion, ports, remakes, and remasters exist for extending a videogame's value to a company and expanding fanbases. Rehashes are when the game is rereleased very quickly compared to the last time you saw it, and to the same audience: Not expanding the fanbase. Making a game prettier looks nice, but isn't as value-adding as new content. New content allows a better price point than without new content, which is why you see a lot of these HD remasteries as discounted. You also see a lot of these, especially from Capcom, released digitally as the main distribution method. Frequently, expanding the fanbase is winning over the marginal consumer: Your second or third go-around probably won't attract as many consumers as the first time (unless it's the first time the release is worldwide), so going with the less costly option makes sense. Making sense is what videogame companies should try to do in general. Ludwig is frustrated when companies don't make sense or try to hide their nonsense, like EA does all the time with issues like the Madden Curse movie. Stick to KoopaTV for all the news on that, and Follow Ludwig on Miiverse for more nonsense at NNID PrinceOfKoopas! SEGA Does What Tecmo Kan't? Nintendo Redirect: Occupy Nintendo Street! Welcome to Smash 4, Mac Baby!